Get started testing for Ketosis right away. Everything is included for testing Ketones (No Glucose strips are included). The Most Accurate Ketogenic device on the market. We have also included one month supply of both alcohol wipes and lancets. Glucose Strips are NOT included with this kit. KETONE STRIPS-10 Precision Xtra Ketone Blood Test Strips (05-31-2018 or Newer). One Months supply- Alcohol wipes and Lancets- Everything Included for Sterile Tests. FREE- Quick Start Guide and Best Times to Test PDF. 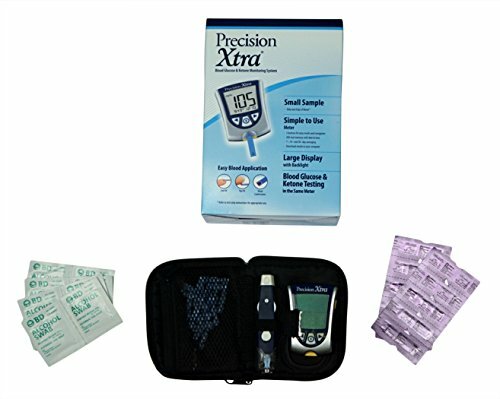 BUNDLE- Precision Xtra Meter (unopened in Box) Carrying Case and Abbott Lancing Device (No Glucose Test Strips Included). If you have any questions about this product by BaceLabs, contact us by completing and submitting the form below. If you are looking for a specif part number, please include it with your message.